Find out more about our cosmetic offerings and which ones could improve the look of your smile. If the rest of your teeth are healthy and strong then a dental bridge may be all you’ll need to replace your missing tooth or teeth. A dental bridge contains two crowns, which are cemented over the tooth directly next to the gap. Between the two crowns is a false tooth or teeth that will be used to fill the space where your permanent tooth or teeth once were. Dental bridges usually require two visits to your River Forest dentists in order to custom-make the dental crowns. For those looking for a fast, painless and inexpensive way to replace most or all of your teeth, dentures can’t beat. Dentures are made up of a plastic gum-like base that contains a set of false teeth. Dentures can either be removed or cemented into place and usually require two visits to create your dentures and properly fit them to your smile. While it takes several months to get dental implants, they are the closest option to natural teeth. Implants act as tooth’s roots, holding a dental crown permanently into place. This treatment requires two surgeries and multiple visits to your River Forest dentists to get your new tooth or teeth. The simplest way to get a whiter smile is to get a one-hour teeth whitening from your River Forest dentists. In one whitening treatment, we can get teeth up to ten shades whiter using a professional grade whitening gel and a laser to activate the gel. Teeth whitening is ideal for those with external stains caused by cigarettes, aging and consuming certain stain-producing foods and drinks. For those who have severe or internal stains that teeth whitening just can’t fix, dental veneers are the next best option. By cementing thin shells of porcelain to the front of your teeth, your River Forest dentists can hide minor imperfections such as severe stains. This treatment only requires two dental visits and minimal tooth preparation prior to the application. If you are dealing with small cracks or chips then this non-invasive cosmetic procedure is all that’s needed. Your River Forest dentists will shave down your enamel to change the shape or length of your tooth. This procedure is often accompanied by reshaping, in which we apply a dental resin over the tooth to hide stains and minor flaws. For those with more severe stains, cracks, chips, gaps between teeth and overlapping dental veneers may be a better choice. The best way to find out which cosmetic dentistry is right for you is to schedule a consultation. Call River Forest Dental Studio today! 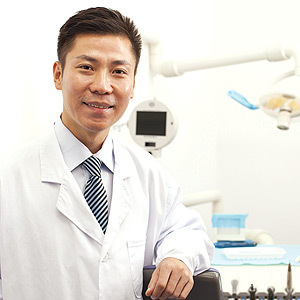 Learn more about cosmetic dentistry here.